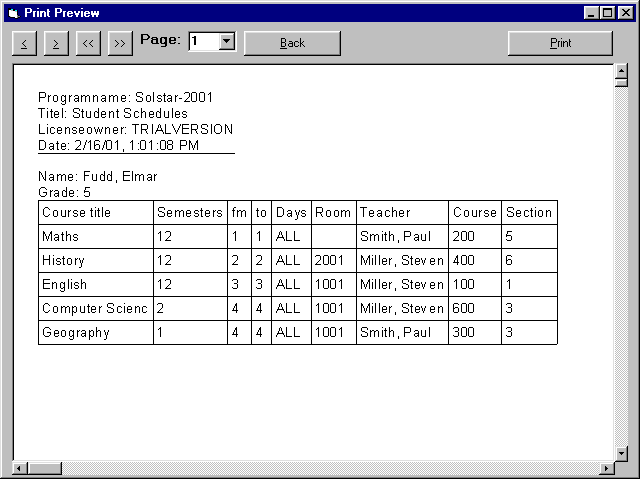 This is the Report Preview Window of Solstar 2001. For a description of the buttons please scroll down. : You browse to the previous page. : You browse to the next page. : You browse to the first page. : You browse to the last page. : You can select a page from the report directly. : You close the window and return to the Report list. : You print the shown report.